Manual testing is the process of manually identifying defects in system/software. In this, testers check features of the given application for proper functioning. While automation testing is the method of leveraging automated tools to write & execute test cases on the software application. Tools compare actual results to the expected results & create test reports. For a more clear vision, here are a few scenarios to explain the usability of either of the testings in different test cases. Exploratory Testing: In this type of testing there is a need for the tester’s consciousness experience, interpretive/rational aptitudes, ingenuity, and intuition. You need the human abilities to accomplish the testing process in this scenario and therefore should conduct manual testing. Usability Testing: This is one area in which you need to see and test as to how user-friendly, effective, or suitable the software is ultimately for the end users. Here, the human opinion is the utmost significant factor, so a manual method is a better choice. Ad-hoc Testing: In this test case scenario, there is no definite approach which is used. It is a completely haphazard method of testing where the indulgence and acumen of the tester is the only central factor. Therefore, manual testing can be preferred. 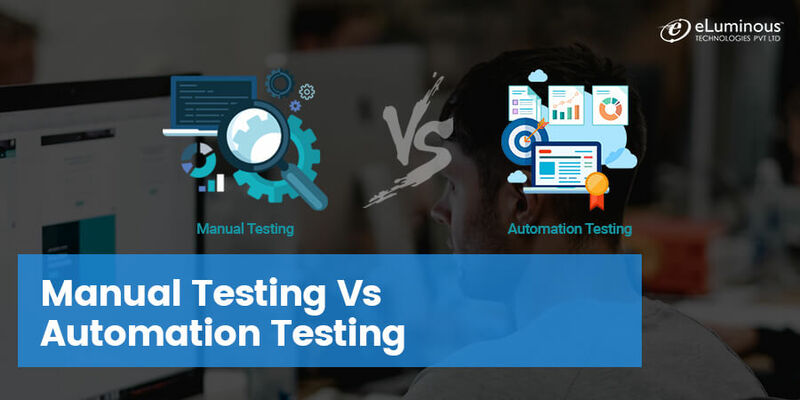 Regression Testing: In this scenario, automated testing is considered suitable because of recurrent changes required in the code and the capability to run the regressions in a timely manner is required. Load Testing: Automated testing is also the best-suited method to complete this kind of testing competently when it comes to load testing. Repeated Execution: Testing which needs the repeated implementation of a task is best automated. Performance Testing: Likewise, testing which needs the replication of numerous concurrent users definitely needs automation. 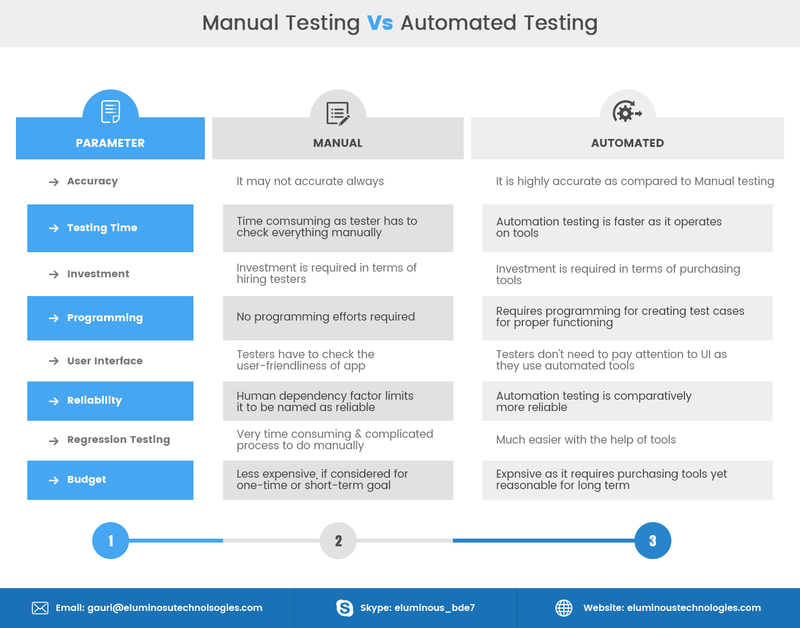 Analyze your testing requirement on the basis of parameters explained above & choose the option between manual or automated testing. We use trending testing methodology, technology expertise & best industry practices in quality assurance services. greɑt blog like this one these days..
It’s nice to know there are still some good people out there like you that care and have a passion for what you are doing. . Thanks a lot sharing your views about software testing in a clear way that helped me to understand it quickly. Thumbs up for your writing skills.Good luck and keep up the good work. Great article! Thanks a lot. It is nice experience to read this article. The way you presented your views are very clear and helped me to understand it easily. The article are very useful and informative. Keep sharing more such informative articles! Great Article!! 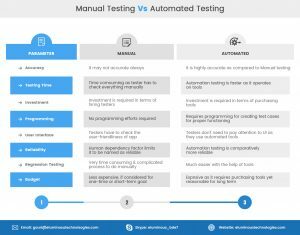 and I think automation testing has some advantages over manual testing i.e automation testing offers increased test coverage, saves time, improve quality and the primary objective of Automation testing is to bring about a rise in test efficiency and come up with Software value, so thanks a lot for sharing your views on Automation Testing.Going to bookmark this for sure.